The power of the Lam Tsuen Wishing Tree is legendary. 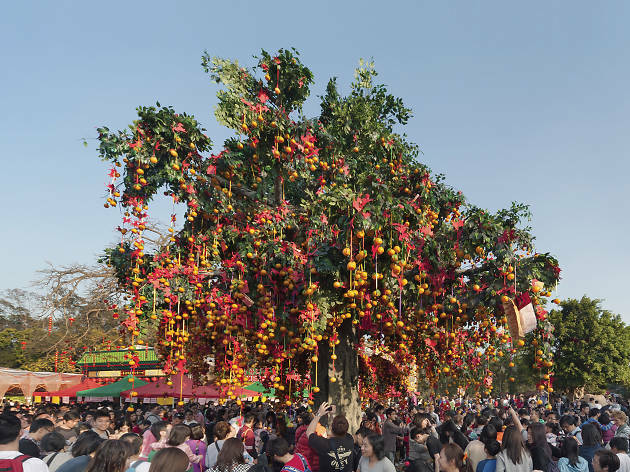 One of the age-old traditions of Chinese New Year in Hong Kong is a visit to this wishing tree in Tai Po where you write your wishes on a placard and tie it to a mandarin, which is considered an auspicious fruit. 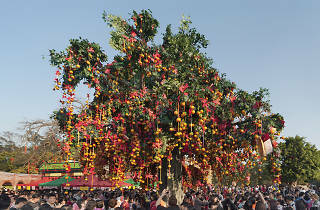 It is believed that by throwing the placard up high onto the tree without falling back will make your wishes come true. There are also food vendors selling local snacks and traditional Hakka food, as well as daily cultural performances like singing and lion dances.